Tomorrow, on my blogiversary, I’ll celebrate in style with a few other bloggers and lots of champagne. But to hold you over until I tell you all about it, I made this card. Just for you. You know I don’t get paid to do this, right? YOU are my only compensation. Worth it (most of the time). Hold on! You are partying tomorrow and I wasn’t invited? How dare you. The nerve. I am offended deeply! 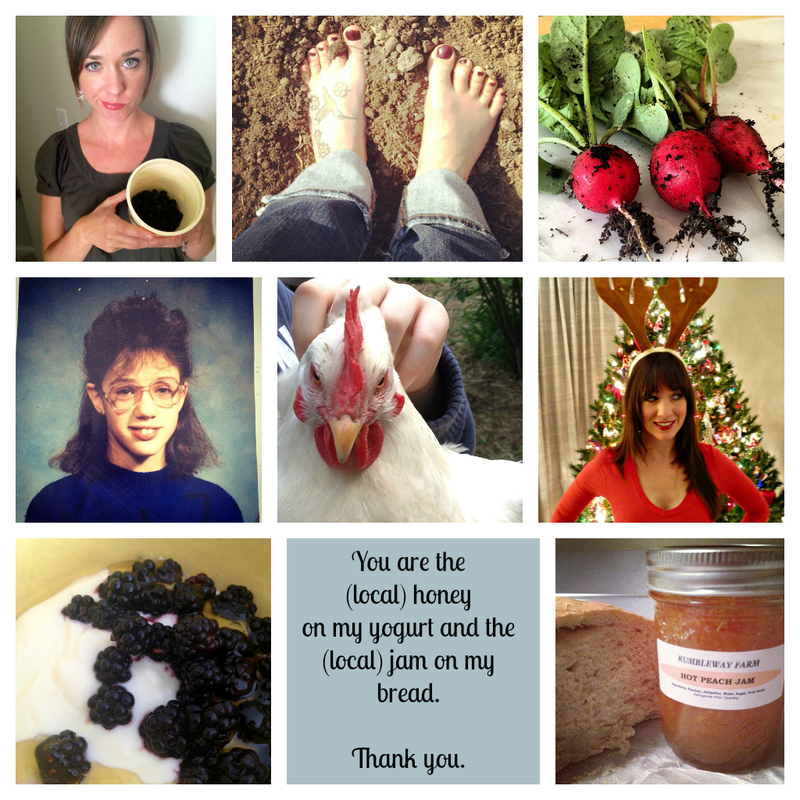 Happy almost Blogiversary!! Celebration will commence in 5 . . . 4 . . . 3 . . .
You are the (unsalted) butter to my bread and the breath to my life:) Happy Blogiversary! PS – Unsalted butter is the only kind of butter. I am so glad to live in California because I could never give up olives! 🙂 Glad you started blogging, Rachel, because I, for one, get a lot out of your words. Grats on your Blogiversary! And thank you so much for reading my words! So sweet of you to say that. Congrats! I am coming up on mine in March. I can’t wait! Keep it up, way to go! Happy anniversary, Rachel!! I can’t believe you’ve only been blogging one year. I love the photo collage. I don’t think I’d ever tire of seeing your old photo that Angie had gracing her blog…your hair was even higher than mine. That picture makes me smile every time I see it. I love that awkward girl. Thanks, Darla! I saw Jules yesterday. So wish you could have joined us. Congratulations on your anniversary. I’m looking forward to your next year of posts. My readers are all kinds of awesome. Thank you! I can finally comment!!!! Huzzah! And speaking of huzzah – happy 1st blogoversary!!! I’m soooo happy I got to toast to that in person – how lucky am I?! Please feel free to cook for me any time you celebrate a future milestone. 13-month blogoversary party, anyone? The photo collage is GORGEOUS. I will be happy to celebrate each and every blog milestone with you. Heck, let’s celebrate every single post. I’ll stock up on bacon and champagne. See you tomorrow?